Large numbers of children are being drawn to the Sunday School, which has grown to 34 children, with almost 70% being Aboriginal. Many of the children come from impoverished families and are surrounded by a range of challenges including substance abuse, mental health issues, and community dysfunction. Most are from non-churchgoing families and have little opportunity to hear the Gospel. 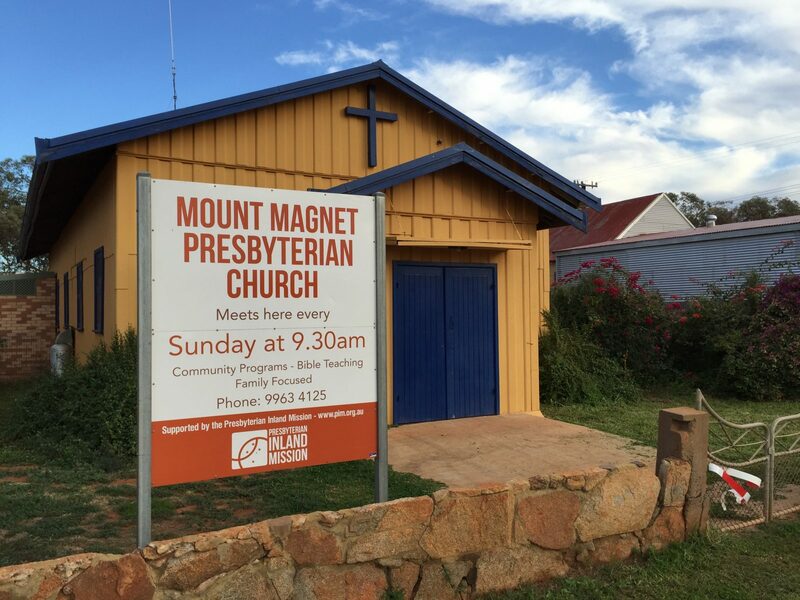 The Mt Magnet Presbyterian Church is a partnership between the Presbyterian Church of Western Australia, Australian Presbyterian World Mission and PIM. Together we raise the funds to keep this vital work going. Thank you for your commitment through prayer and giving to help share the hope of the Gospel with more men, women and children in remote and isolated areas like Mt Magnet. That more people in the town will come to know Jesus. Get prayer points, news and stories of impact from Mount Magnet Mission Church to your inbox. No updates have been posted yet. Check back soon!